Join us online Thursday, November 15 at https://givemiamiday.org/npo/give-kids-a-chance for a 24-hour online fundraising event. Give Miami Day is one of the largest giving days in the nation. On this day, you have 24 hours to make a donation to GKAC that will be eligible for a percentage match form The Miami Foundation and their partners. Your gift helps give students access to more opportunities! 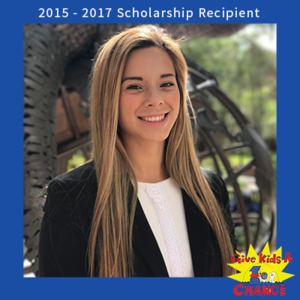 Q: How has the Give Kids A Chance Scholarship helped you? 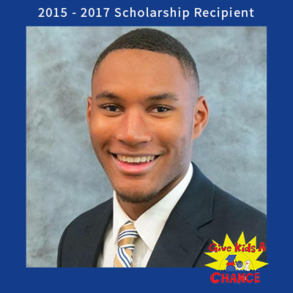 The Give Kids A Chance Scholarship has greatly assisted with the continuation of my collegiate endeavors. During my senior year of high school, I was deeply afraid of how I will finance my college education or even if I would even go to college. Realizing the impact education has for those of a successful lifestyle, the GKAC scholarship has empowered me to navigate through my time at a university. Furthermore, the scholarship provided affirmation that others believe in my potential, abilities and educational endeavors. The Give Kids A Chance Scholarship has helped me reach my full potential in school. Instead of having to focus on how I am going to pay my bills (such as books, tuition fees, food, rent, etc.) I have been able to fully immerse myself into my major and profession. This past December I was elected to go to the Dominican Republic with a medical mission trip group here at the University of Florida. Together we were able to provide free heath care to those in need in the poor town of the DR. This opportunity was life changing and I could not have don it without the scholarship and the foundation's support. To see the smiles on the children's face was priceless, and to know I was the reason why, cannot be described in words.